Olivia Underwood has been selected to receive a 2019 Science Spectrum Trailblazer Award for ‘actively creating new paths for others in science, research, technology and development,’ according to the award citation. Sandia National Laboratories says that three of its researchers were honored at the BEYA (Black Engineer of the Year) STEM Global Competitiveness Conference for their leadership and technological achievements. The annual meeting recognizes black scientists and engineers and is a program of the national Career Communications Group, which advocates for corporate diversity. Warren Davis, an expert in machine learning, was selected to receive the 2019 Research Leadership Award for being ‘a consistent leader in discovering, developing and implementing new technologies,’ according to the award citation. Quincy Johnson, a production engineer was selected to receive a 2019 Modern-Day Technology Leader Award for ‘shaping the future of engineering, science and technology,’ according to the award citation. Olivia Underwood, who oversees the production of electrical connectors at Sandia, has been selected to receive a 2019 Science Spectrum Trailblazer Award for ‘actively creating new paths for others in science, research, technology and development,’ according to the award citation. Prior to joining Sandia, she performed analyses on minivan components for a subsidiary of Honda Motor Co.and on military helicopters for a subsidiary of CGI Group at Redstone Arsenal, home to the US Army’s Aviation and Missile Research Development Center. She also teaches ‘What is Materials Science?’, a Sandia-sponsored summer class for middle school and high school students. 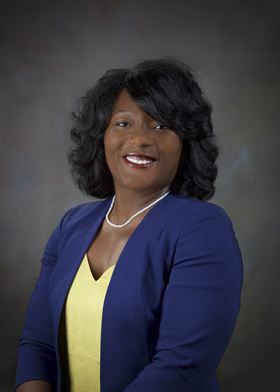 In 2015, Underwood was one of 312 black women in the United States who earned doctoral degrees in science, technology, engineering or mathematics. ‘I wasn’t exposed to the field of materials science until I went off to college. I want students to be aware of this amazing field early on in life,’ she said. Underwood has also received the 2019 Frank Crossley Diversity Award from The Minerals, Metals & Materials Society. This story uses material from Sandia Labs, with editorial changes made by Materials Today. The views expressed in this article do not necessarily represent those of Elsevier. Sandia Lab’s materials science team has engineered a platinum-gold alloy which it says could be the most wear-resistant metal in the world.